Among the three million European SMEs that are exploring the global market, more and more are succeeding in China. 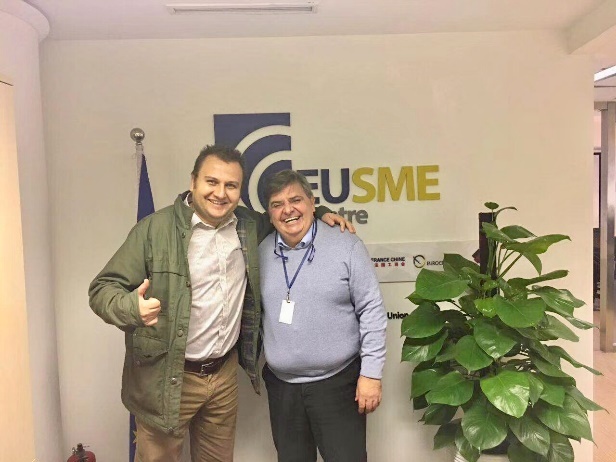 Read their stories below to find out how they have benefited from the services at the EU SME Centre and made their first entry successfully in China. Maia Orgogozo fell in love with Tianjin during her first visit of the city. She then spent more and more time there before eventually moving over from France. She realised some foreigners in Tianjin love the city very much, while some are homesick. In order to contribute to the happiness of both groups, she decided to make use of her cooking skills and opened a restaurant. After almost two years of conducting all necessary registrations and setting up her business, Oh My Gourmet became operational in 2012. With Oh My Gourmet, Maia does not only offer dining at the restaurant, but catering, private dining and cooking lessons as well. Step by step, Maia managed a healthy growth of her business, always focusing on ensuring the top quality of service and food. The business is thriving, being amongst the top five rated restaurants in Tianjin on the website of TripAdvisor. To ensure the legal compliance at all time, Maia needed the help of the EU SME Centre. After going through all the relevant guidelines on the Centre’s website, she enquired with the Centre's legal experts. In order to find out the exact scope of Oh My Gourmet’s business license, the Centre’s legal expert launched an enquiry with officials in different cities and in the end secured a definite answer from officials in Tianjin. Maia appreciates the reliable and independent advice from the EU SME Centre and says that it helped her a lot during the initial phase of setting up her business. Chinese legislation and regulations are often not very clear and the Centre was a great help in assuring me of what is allowed and what not. They conducted a real legal investigation for me; I myself could never have done that because I lack the knowledge and resources. 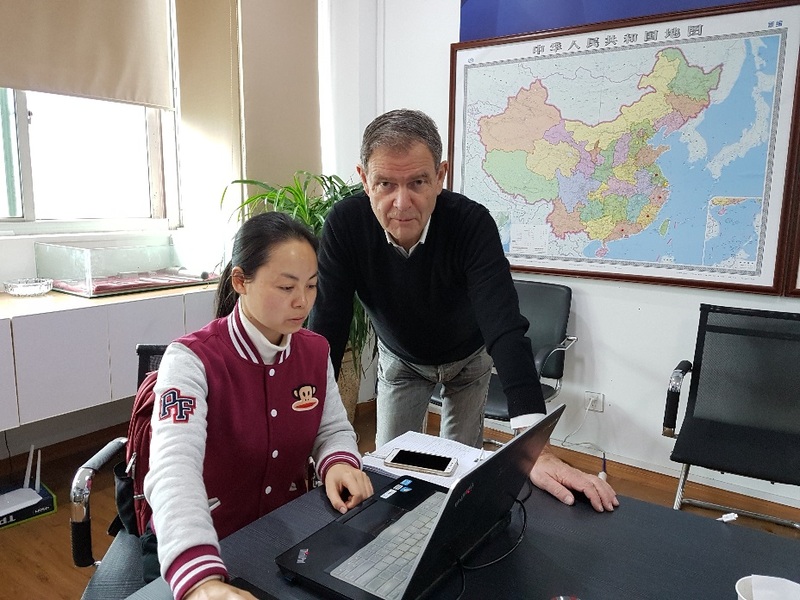 In May 2017, Rasmus Gregersen, CEO of Nihao CPH contacted the EU SME Centre to bring its business into the Chinese market. The company runs a Danish lifestyle online media that also offers a wide variety of Scandinavian products for the Chinese consumers in the higher segment and it is rapidly expanding with more brands within kids, health and beauty categories. After running its online magazine for a couple of years, Mr Gregersen decided to start selling its products in China by opening a WeChat shop. The online shop would have been a stand-alone shop and the Nihao CEO wanted to operate it via cross-border on Chinese Wechat. The Centre’s Business Development Advisor Rafael Jimenez researched his case and pointed out that there are lots of complexities in such a scheme. He said: "First, there is to understand the treatment of payments, tax and duties and of the cross-border operations, which might not always be immediate." Additionally, the company also aimed at learning how to outline a strategy that easily migrates later to a bonded warehouse at the Free Trade Zone in Shanghai. Questions and answers did happen, and despite the inherent difficulties about a business-to-consumer trade mode that was largely unknown in China at that time, Nihao CPH put in operation its WeChat shop a few weeks later, in July 2017. To learn more about Nihao CPH’s experience in China, read the full case study here. We quickly found out that cross-border e-commerce is not as easy as it sounds. Denmark’s regular post services had little experience with this type of logistics and also figuring out the procedures for taxes involved with cross border e-commerce deserve a fair bit of attention before getting into business. Despite much self-study, NI HAO CPH’s incubator in Denmark owes most of its current knowledge on e-commerce in China to the EU SME Centre’s business development team services and advices. 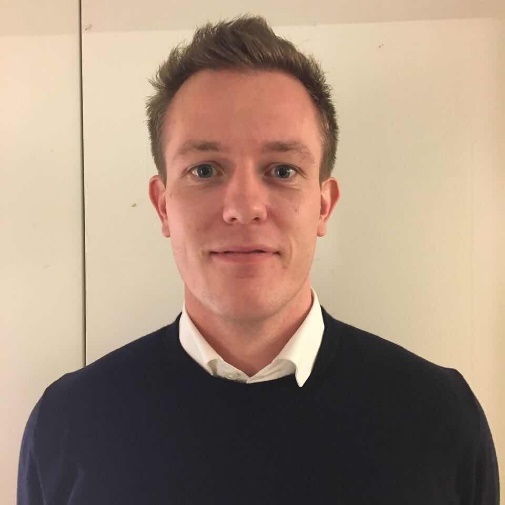 -Mr Gregersen – CEO NIHAO CPHOn May 2017 , Rasmus Gregersen CEO of Nihao CPH contacted the EU SME Centre to bring its business into the Chinese market. After running its online magazine for a couple of years, Mr. Gregersen decided to start selling its products in China by opening a WeChat shop. The online shop would have been a stand-alone shop and the Nihao CEO wanted to operate it via cross-border on Chinese Wechat. There are lots of complexities in such a scheme. First, there is to understand the treatment of payments, tax and duties and of the cross-border operations, which might not always be immediate. Additionally, the company also aimed at learning how to outline a strategy that easily migrates later to a bonded warehouse at the Free Trade Zone in Shanghai. “We quickly found out that cross-border e-commerce is not as easy as it sounds. Denmark’s regular post services had little experience with this type of logistics and also figuring out the procedures for taxes involved with cross border e-commerce deserve a fair bit of attention before getting into business. Despite much self-study, NI HAO CPH’s incubator in Denmark owes most of its current knowledge on e-commerce in China to the EU SME Centre’s business development team services and advices”. KFIV is a commercial agency based in Germany which supplies the German and other European OEM automotive industry with high-quality components from China. Since 2011 KFIV represented a Chinese manufacturer of automotive wire and cable. It introduced this company to European customers and established a supplier relationship. For this service, KFIV received a commission from the Chinese company’s sales to European customers. In 2014 the Chinese company informed that they were obliged to withhold a local tax for KFIV in China, at the rate of 15%. KFIV then communicated and negotiated with the local tax authority in China. In the process, KFIV sought assistance from the EU SME Centre and received clear advice from the Centre that, since KFIV did not send staff to China for the services provided to the Chinese company, no permanent establishment in China has been constituted according to the bilateral tax treaty between China and Germany. Therefore, the fee KFIV charged for the service provisions in Germany is not subject to enterprise income tax in China. To learn more about China’s non-resident enterprise tax, read the Centre’s complete guideline here. With such information, KFIV succeeded in the negotiation with the Chinese tax authorities. Eventually, the tax rate applied was reduced from 15% to 5%. In a China local tax issue we doubted about the statements of the Chinese partners. With the fast and competent advice from the EU SME Centre the issue was clarified, the tax was reduced from 15% to 5%. Considerable 10% savings on the commission income for our company. We greatly appreciated the extraordinary professional performance of the EU SME Centre. We are still very much grateful about your valuable authoritative advice in the tax issue with the China local tax administration. In 2012, over 83 million Chinese tourists travelled abroad and spent more than €75 billion overseas, making China the world’s largest outbound tourism market. Dreamboat, a Czech SME providing travel services for tourists and business groups from Asia, began to gain a foothold in this booming market in 2012. The company identified European cruise trips as a niche market that has not yet been fully exploited in China, and began to partner with Chinese companies and the Czech Tourism Office in China to organise Danube River cruise trips for Chinese tourists. The EU SME Centre supported Dreamboat during its early stage of establishment in China. The Centre’s free hot-desking service provided its staff a professional working environment while it was developing partnerships with local travel agencies in Beijing. The Centre’s guidelines and webinars explaining changes in China’s visa rules also kept the company informed of updates that affected its employees working in China. Among the advice offered to SMEs preparing to do business in China, Zofia Guranova, the company’s China sales manager, mentioned that conducting proper due diligence on potential Chinese partners is one of the most important first steps to take. Gothia Logistics AB is a Swedish company that develops online training programmes in logistics, lean production and purchasing in order to help clients increase efficiency and improve productivity. Active in China since 2003, the company has been offering online training courses in both English and Chinese for employees in factories around the Yangtze River Delta region. With the help of the Centre’s business development team, Gothia Logistics found a list of companies to participate in a research project on the difference in continued education between companies with various cultural backgrounds. The Centre’s webinar on “How can foreigners establish an office in China?” helped the company acquire essential information on setting up a legal entity in China. Gothia Logistics also received comprehensive advice on employment arrangement forms available for wholly foreign-owned enterprises (WFOEs) in China. We used a great deal of services from the EU SME Centre’s website, especially the online enquiry service which allowed us to ask more specific questions on HR & legal issues. In addition, the Centre’s webinars are good sources of more resources. The EU SME Centre has been a great support for us when setting up our business in China. Lancaster Brewery is a British company producing and selling a variety of beer products such as ales and ciders, located in the North West of England. The company entered the Chinese market in July 2016, successfully reaching the country and clearing the customs in less than a month. It targets Guangdong province to start with but plans to expand business in other first-tier Chinese cities with a focus on Shanghai in the near future. Lancaster Brewery is currently exporting to China with the assistance of a local Chinese business partner who is handling the process of customs clearance and relabelling in bonded warehouses. The company has also planned to send an employee to Guangzhou for a period of six months to represent the brand in the market, provide support to the partner and develop a network of distribution channels. During their market research process, Lancaster Brewery came across the EU SME Centre’s content online, including the webinar on Alcoholic Drinks Market in China and publications on the Food & Beverage Market in China and Ways to Enter the Chinese Market. The information helped the company better understand the technicalities of exporting products to China and to clarify the requirements for labelling, customs procedures, and intellectual property protection in China. The Alcoholic Drinks Market in China webinar, held on May 10th, provided me with crucial data to pitch the China opportunity to our company board and win their approval. Lancaster Brewery aims to position its brand in a niche market in China to attract affluent consumers, including expatriates and Chinese who have previously worked or studied abroad and therefore have developed a taste and preference for foreign food products and brands. As advice for other European businesses interested in the Chinese market, Giulia emphasised on the role of establishing trusted relationships with Chinese business partners, doing market research and willingness to look for help. “Do your research and look for help. Sometimes SMEs lack the specific knowledge and skills required for such a challenging process, but help is available out there to overcome these obstacles and barriers”, said Giulia. The Irish company Serosep is a leading producer of laboratory diagnostic products that are broadly used in hospitals and clinical practices. After identifying China as a market with huge potential for their products, Managing Director Dermot Scanlon and Export Sales Manager Eoin Kelleher had the idea of opening up a wholly foreign-owned enterprise (WFOE) in China. However, after attending a seminar of the EU SME Centre and enquiring several times with the Centre’s experts, they realised that it would be better to start with working with a distributor instead. Dermot and Eoin then found Beijing ALT Biotech, a Chinese distributor with knowledge of the healthcare market in China. Together they completed the lengthy process of registering their company and products in China. This took more than 6 months, but then sales could finally start in China. At the time of the interview with Eoin, he expected the first order to be coming in the following weeks and it shipped from Serosep in May 2014. For the beginning the target clients are private practices and laboratories that work for private hospitals. Serosep first got to know the EU SME Centre through another Irish SME. They took part in many of the Centre’s webinars and used the documents in the Knowledge Centre on the EU SME Centre website. In the beginning they sent several enquiries about setting up a WFOE in China through the Ask-the-Expert service. The information they received from the Centre made them change their perception of how to do business in China and how difficult it would be to enter the market. It directly impacted Serosep’s change of strategy. We appreciated the competent advice from your experts very much. The seminar was brilliant. The legal expert who held it could answer every single detailed question. We left without one open question still in mind. Siveco China is a French SME specialised in maintenance and facility management consulting. It has been operating in China successfully for more than 10 years with more than 850 customer sites, utilising advanced technological tools to help Chinese plants, facilities and infrastructure owners increase competitiveness in the fast-changing domestic and global markets. Siveco China’s involvement in the Belt & Road can be traced back to many years ago when it started to assist Chinese EPC (Engineering, Procurement and Construction) companies to maintain their overseas projects in Southeast Asian countries. One of its clients is China National Electric Equipment Corporation (CNEEC). Siveco China provides computerised maintenance management system (CMMS) and related services for the client’s two power plants in Malaysia and Indonesia. Later on, it developed more projects in countries including Brunei, Laos and Thailand. In 2012, its business also expanded to Algeria with new clients from South Korea. When reflecting on the company’s success in China, Bruno Lhopiteau, the Founder and General Manager of Siveco China, considered their long experience working with Chinese infrastructure projects combined with abilities to work with international clients as the key factors. “I would also say that our experience in China, such a highly competitive market, has also made us very fierce and tenacious, with both extreme survival skills ready for short-term business as well as a very long-term strategic view towards the market. I think these are the characteristics of companies that succeed in China”, said Bruno. As for the company’s future plan, Siveco China intends to target on the Belt & Road countries where Chinese and Korean firms are active, by talking directly to major infrastructure owners, usually the government ministries. It has a wide range of client profiles and plans to work more with overseas Chinese investors primarily in oil and gas projects and large Chinese state-owned enterprises in waste, water and power markets. It has also set up a dedicated team to help its clients better understand the system and how it adds value to their tenders. Siveco China has also observed some changing trends in this industry after working with Chinese clients for so many years. For example, it recently carried out a survey on “Maintenance in China” together with Shanghai University’s Sino-European School of Technology, which showed an increasing awareness among Chinese companies towards the importance of maintenance and risk prevention involved in operating large infrastructure projects. The company first came across the EU SME Centre at a business event in Suzhou, and has been using the Centre as a source of information on various topics including regulations, intellectual property, commercial development, and as a place to find experience from other companies. The Centre also published a case study to introduce the company’s experiences to more European SMEs. Leveraging Centre’s instrumental resources, the company has developed a more refined understanding of the Chinese market. To learn more about Siveco China, visit its website here. Entering new active ingredients into the food or health industry market can be hard, in particular if the company is trying to export its products abroad. For the case of China, market access regulations can be of great complexities. Asking for assistance in these regards, the Spanish company Lipofoods contacted the EU SME Centre. The representative of the enterprise discussed with our experts about the imports of a phytosterols in 2017, a specific functional ingredient with cholesterol lowering effects. Following further consultations, the company managed to master the modalities that need to be followed in order to export its products to China. This understanding affected the positive growth of the company’s exports of calcium to China in 2017, another functional ingredient produced by Lipofoods. Recently, Lipotec – the company from whose spin-off started Lipofoods- attended the EU SME Centre’s training “How to Set Up a Cross-Border WeChat Shop”, held in Barcelona. The company contributed to the discussions of the training by providing their own experience with Chinese market access regulations. They shared with us that a well-known cosmetics firm has just started to sell online in China a cosmetic with some of Lipotec's active ingredients.. Entering new active ingredients into the food or health industry market can be hard, in particular if the company is trying to export its products abroad. For the case of China, market access regulations can be of great complexity. Asking for assistance in these regards, the Spanish company Lipofoods contacted the EU SME Centre. The representative of the enterprise discussed with our experts about the imports of a phytosterols in 2017, a specific functional ingredient with cholesterol lowering effects. Following further consultations, the company managed to master the modalities that need to be followed in order to export its products to China. This understanding affected the positive growth of the company’s exports of calcium to China in 2017, another functional ingredient produced by Lipofoods. Recently, Lipotec – the company from whose spin-off started Lipofoods- attended the EU SME Centre’s training “How to Set Up a Cross-Border WeChat Shop”, held in Barcelona. The company contributed to the discussions of the training by providing their own experience with Chinese market access regulations. They shared with us that a well-known cosmetics firm has just started to sell online in China a cosmetic with some of Lipotec's active ingredients. Healthy Imports is an Irish enterprise that specialises in importing and distributing healthy high quality food and beverage products from the EU into mainland China. After successfully establishing a WFOE Company in Dongguan China, the company made sure it was only working with competent and trustworthy sub-distributors and was very careful on how the products were marketed. Its biggest achievement is the successful marketing and distributorship of Rocwell Mineral Water. Many European F&B producers are searching for a reliable and experienced agent in China and the demand for their products in China is high. Healthy Imports managed to take advantage of this high market potential on both sides: the enterprise is expanding with a second office in Shanghai, hiring more employees at the same time. One of the key factors of Healthy Imports’ success is its good preparation and patience in making the correct decisions that is vital to success in China. During research, the team often resorted to the EU SME Centre’s Knowledge Centre. When making important decisions on their China strategy, the management enquired with the Centre’s legal experts in order to confirm the information they previously gathered. The detailed and practical replies made them feel more secure and confident in their decisions, Healthy Imports CEO Noel Farrell recalls. “To succeed is to understand and adapt”, the company’s motto, highlights one of the key factors for its success: The team was conscious of adapting to the local business culture and never stopped learning. Healthy Imports has shown that if there is market potential for your product and you enter the market well prepared, big success and considerable growth are more than possible. The EU SME Centre gives SMEs a sense of security. It is great to be able to enquire in one place about diverse questions of interest for an SME in China. The ‘Knowledge Centre’ is the only database that provides all relevant information in one place, from practical advice like dos and don’ts in negotiations to legal information in the law database.